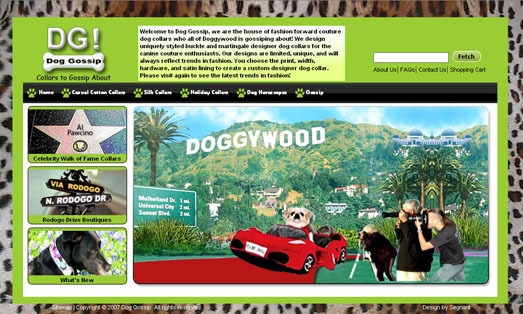 Segnant Technologies is excited to announce the launch of the Dog Gossip website. Dog Gossip is a boutique website that offers everything from special dog collars to seasonal dog clothes. Every dog enthusiast can find a special treat for their pooch at doggossip.com. The website even offers a collar customization tool that allows a dog owner to pick out a collar and customize it according to the size of their dog’s neck and what special items they would like on the color.